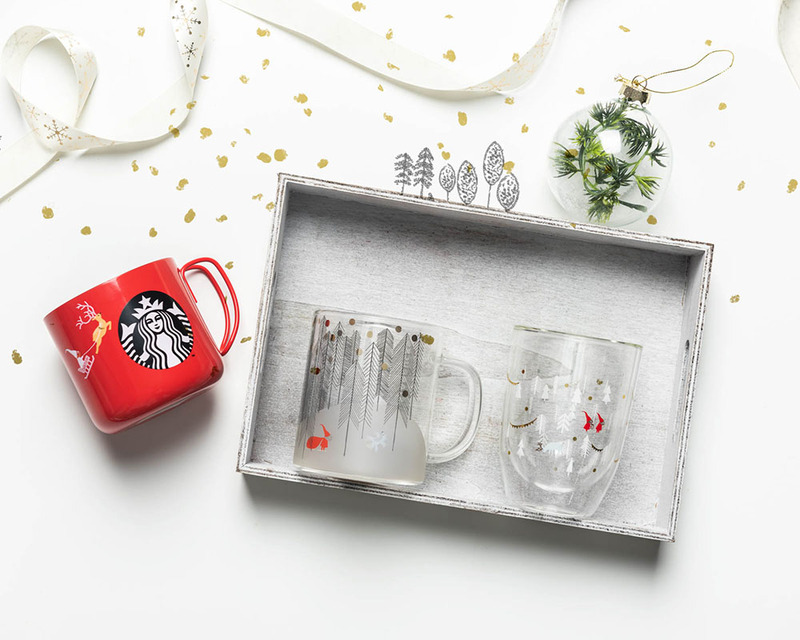 The Starbucks Iconic Red Christmas Cups Have Arrived For Christmas, Along With A Penguin Tumbler & Snow Globes! Christmas is probably the most exciting time of the year. 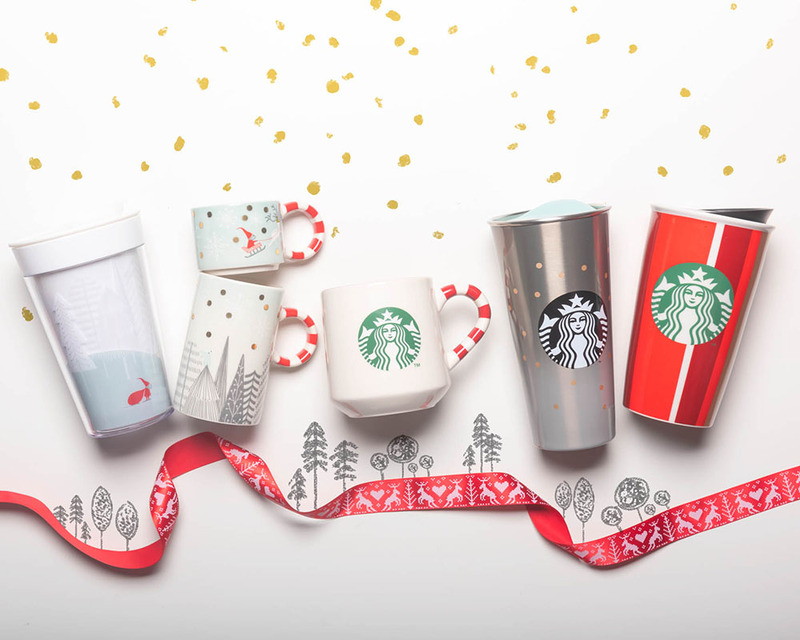 There are presents to be unwrapped, an extra day off (or a week if you’re lucky), and there’s always the Starbucks holiday drinks and cups to look forward to. Nothing really heralds the arrival of the holiday season until we’re sipping our lattes in the latest Christmas cup. 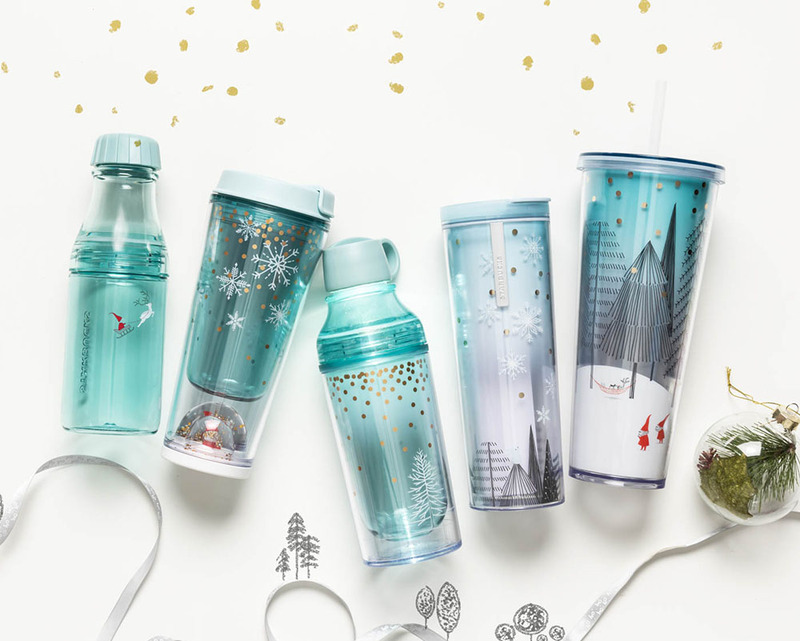 We have tens and thousands of tumblers from Starbucks, but we can never say no to a new one because they are all so gorgeous. 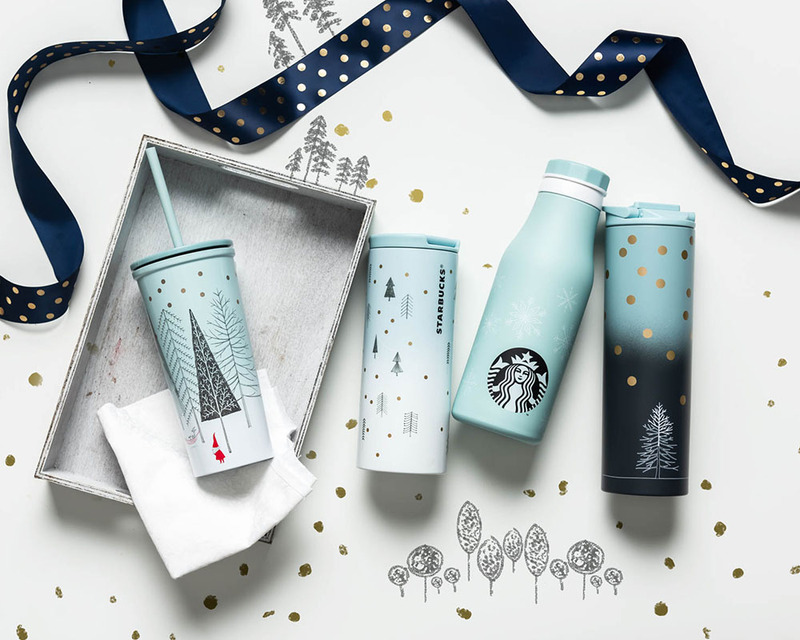 Just from this season’s new cups alone, we’ve already added 10 of our favourites to our 2018 Christmas wishlist. Besides, a tumbler will always come in handy! 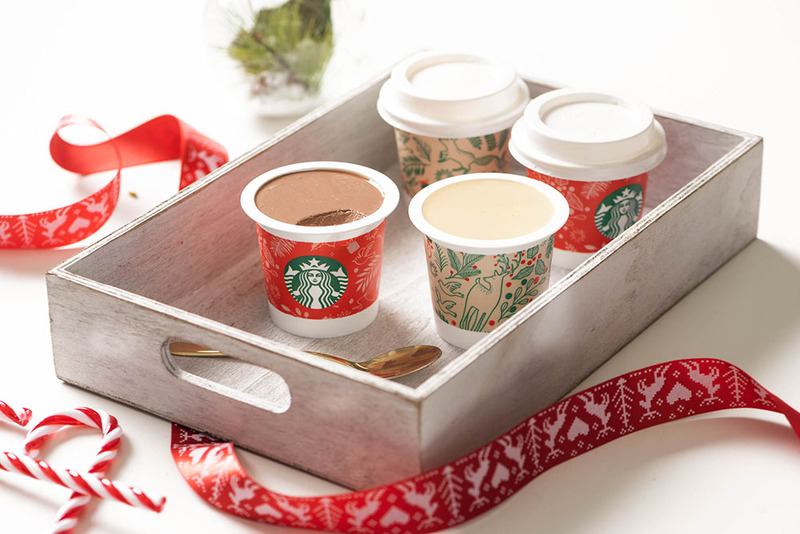 The classy red cups are back, and now you can bring one home! 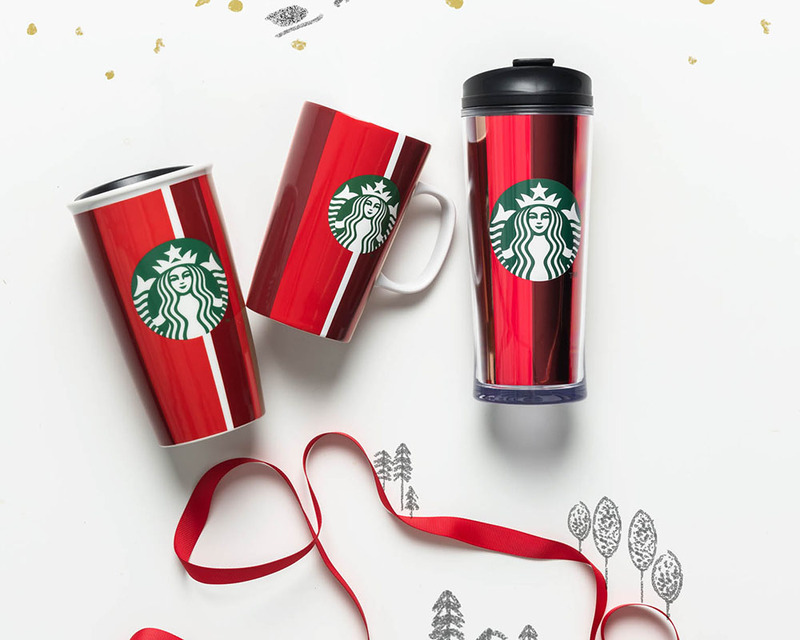 The red and maroon striped cups don’t look overtly Christmassy as most festive merch are wont to, and you can even use them all year round. 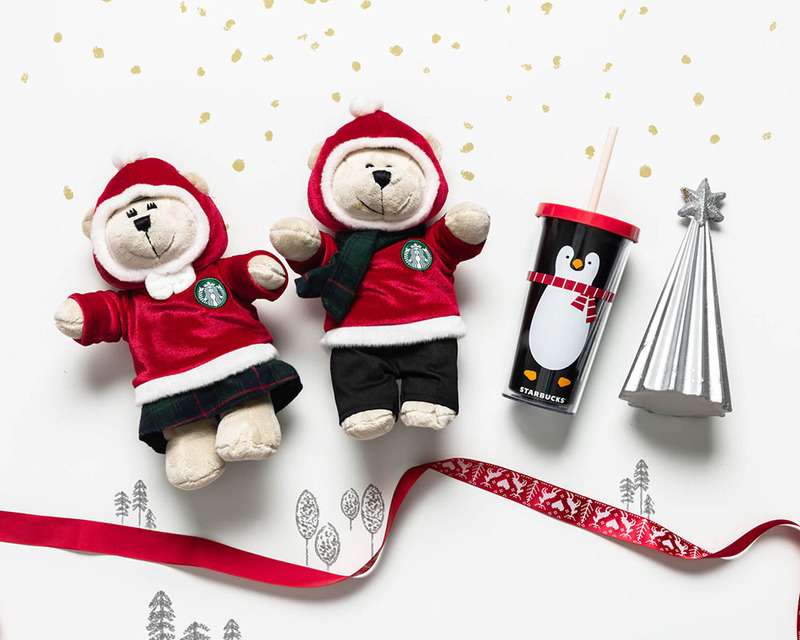 The little Santa Bearistas can’t make you your own personal cup at home, but the cute plushies will add a little festive cheer to your kitchen. And who can resist this Penguin Cold Cup?! Can we have 10 to make a row of penguins on our shelf please. 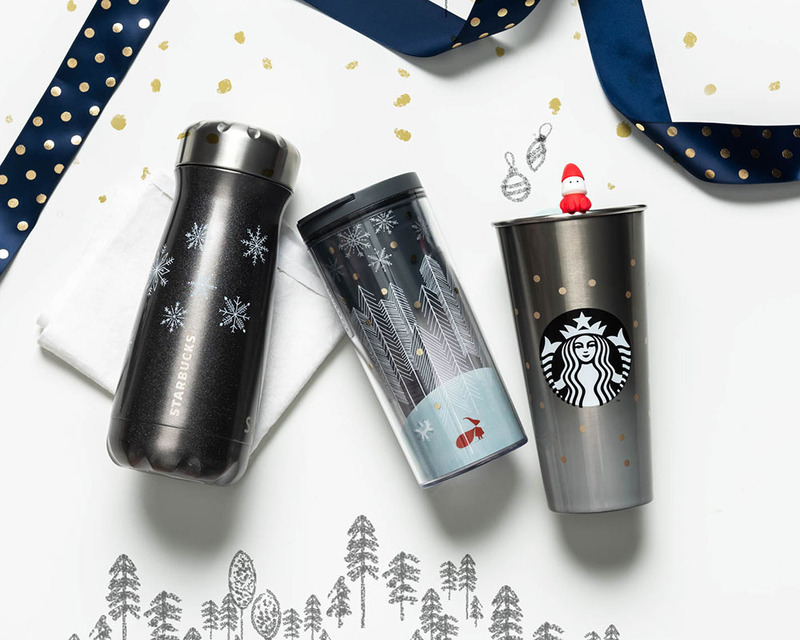 Fro those who prefer a more monochrome palette but still want to join the festive season will love these black and grey tumblers with a touch of whimsical gold accents and snowflakes. We’ve got our eye on the one with a little santa sitting on the lid. Want a little more colour? These blue pastel cups might do the trick. Your Christmas tree can’t enjoy a cup of Starbucks, and the next best thing is to add a few ornaments. 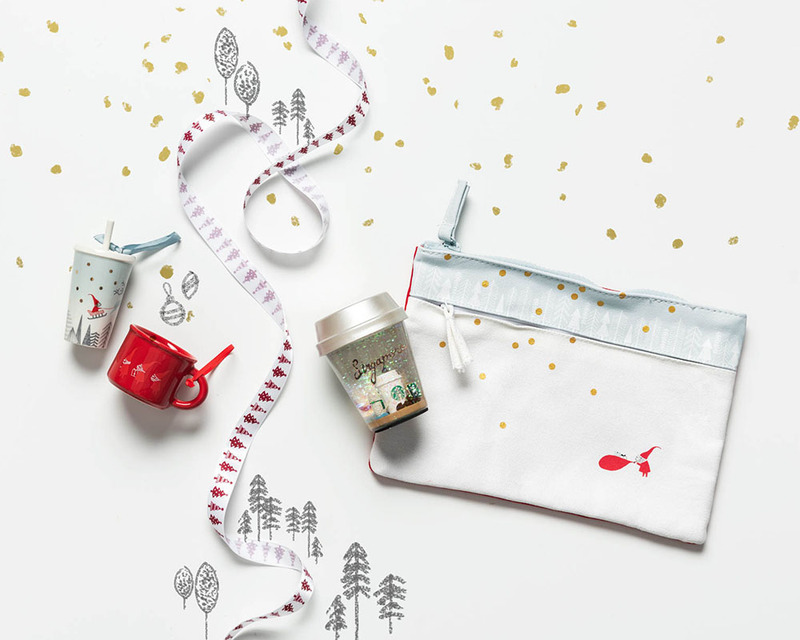 A Christmas cup and tumbler come ready to hang, or get the snow globe that houses a cup in a cup. Pretty genius, eh? And if you’re looking for a little more oomph, there’s even a cup with LED lights. All you need is a little music. We love Santa because he gives us presents, but we can’t forget his helpers that ensure that he actually managed to deliver said presents! The deers get the spotlight in this cup collection. Run, reindeer, run. A bright pop of colour and cat ears? Yes please. 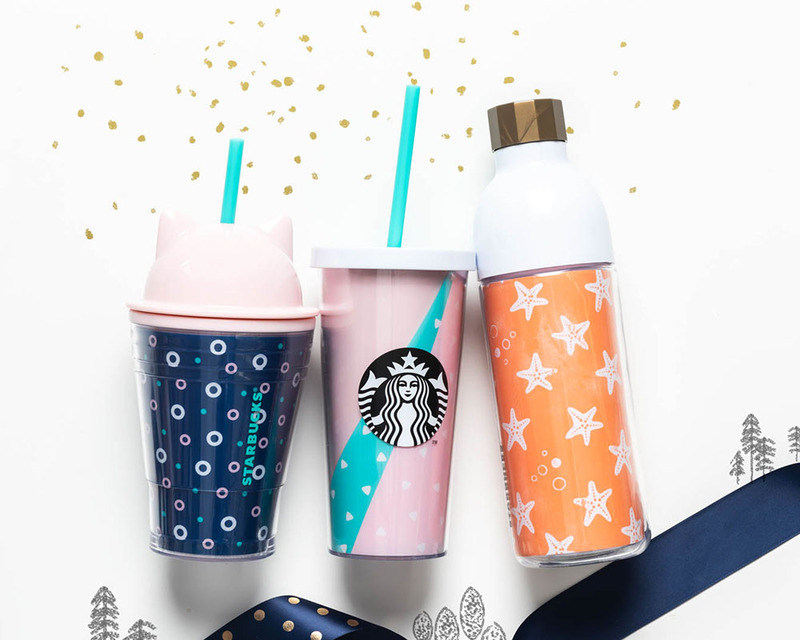 And of course, there are the Christmas drinks that you can sip from your new cup. 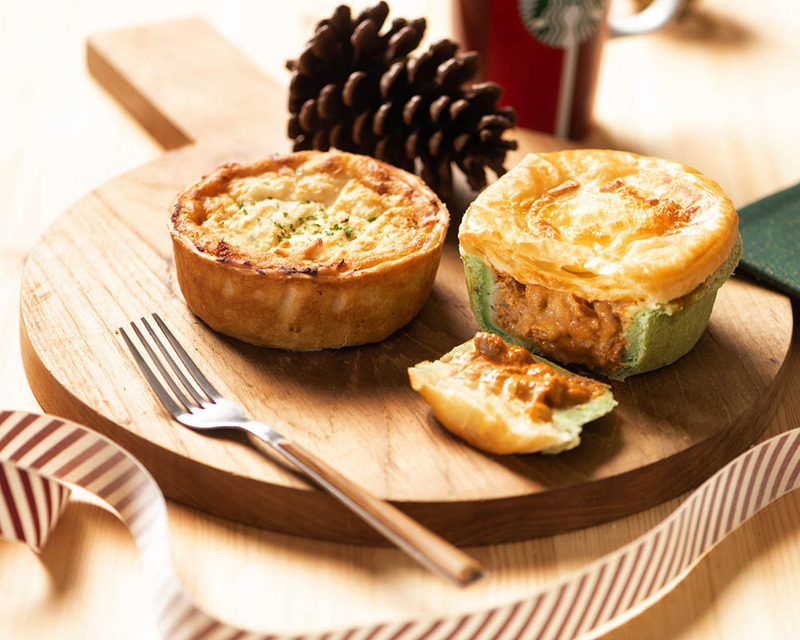 There’s nothing new, with three crowd favourites making a return to the Christmas menu. 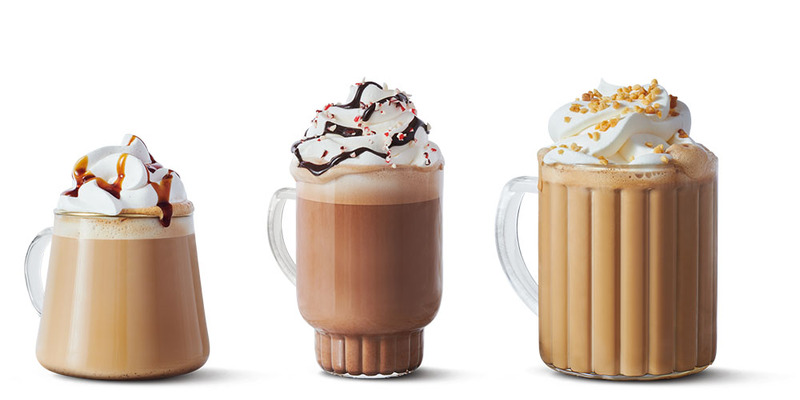 The classic Peppermint Mocha is a refreshingly minty drink, whilst sweet tooths will love the Toffee Nut Crunch. The Ginger Bread Latte is sweet and spicy, and a super comforting drink especially if it continues raining like this! All three drinks are available hot, iced, and as a Frappucino blended beverage. 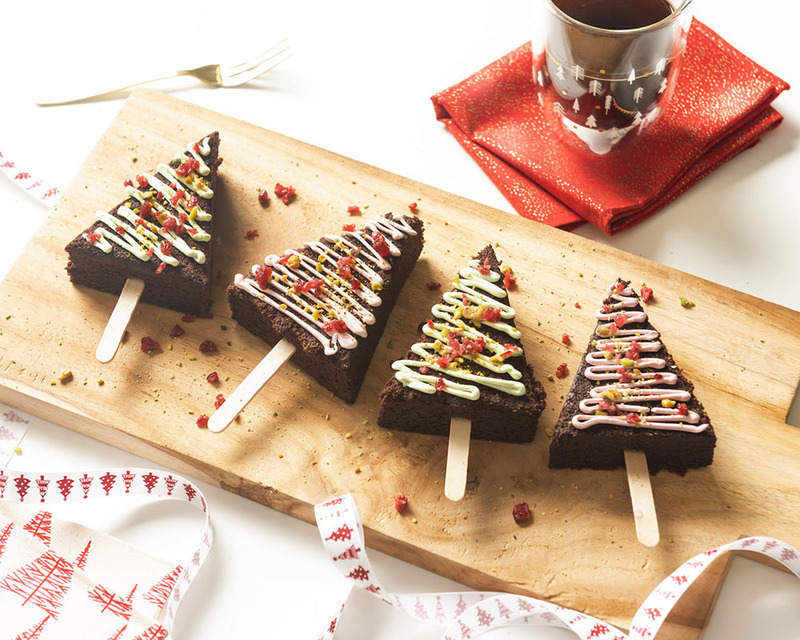 Other festive treats when you’re feeling the munchies are these tree-mendously delicious brownies that come on a stick to eat on the go. These adorable coffee cups don’t contain a shot – they are pudding cups! The creamy pudding cups come in two flavours; Earl Grey Milk Tea and Chocolate Perppermint. 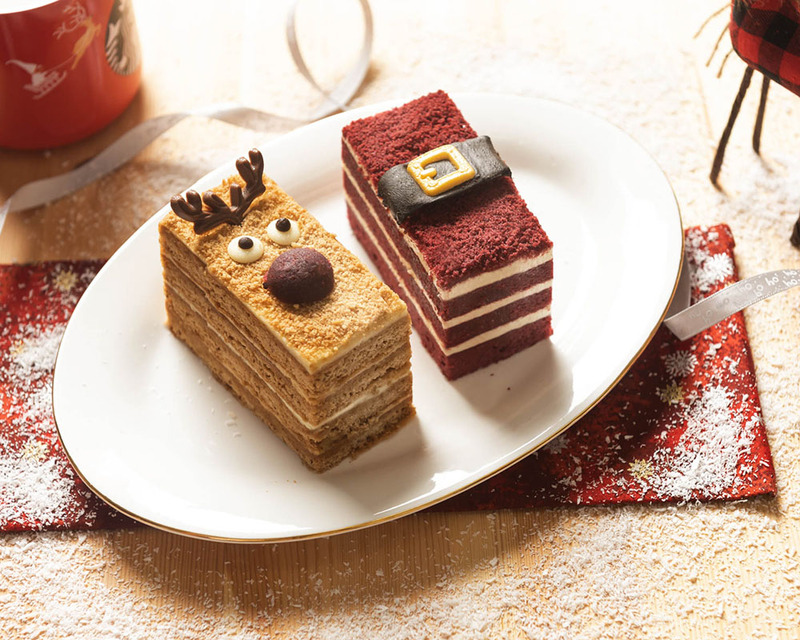 Dig into some honey cake or red velvet cake, and we won’t blame you if you chose Rudolph’s Honey Cake just so that you can take a picture for your Instagram. Over on the savoury side, there’s a Cranberry, Turkey and Cheese Omelette Bagel for a quick breakfast, or tuck into a hearty chicken or tuna Shepherd’s pie.